Why Is It Important To Keep Office Equipment & Offices Clean. The office equipment that we are referring to is; electronic equipment, computer keyboards, screens, telephones, fax and copy machines, desks, counter tops, etc, that is utilized by various staff members. Why must we keep equipment and offices clean and hygienic?. By keeping work stations, and all equipment clean, by using a quality and effective cleaning product followed with a approved safe disinfectant, you will be reduce the risk of the many infectious diseases that are found in offices and are easily passed onto fellow workers. You will be improving your staff’s health, and will definitely be reducing the absentees from work which is a huge monetary drain on any companies business. 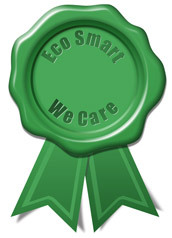 By promoting a clean and hygienic atmosphere in your company, you are endorsing and encouraging a “In House Going Green Programme,” which is certainly; “The Flavour of the Moment” with most organisations, which will definitely instill a positive attitude among your workers that can only increase the efficiency, productivity and general safety of everyone health. By keeping the dust and dirt of any machine you will prolong its working life, and you will reduce maintenance costs, and being clean will make it as efficient as possible. By cleaning all equipment constantly in an office you will be removing the buildup of dangerous bacteria which is infectious, and a severe health risk for office workers that can definitely influence your business negatively and your income. 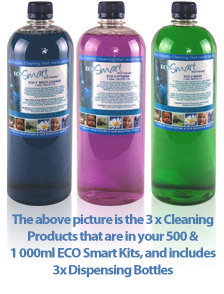 By using ECO Smart scientifically approved products, you will ensure that you are not harming your workers, as the products contain no harsh chemicals, and are so environmentally friendly. 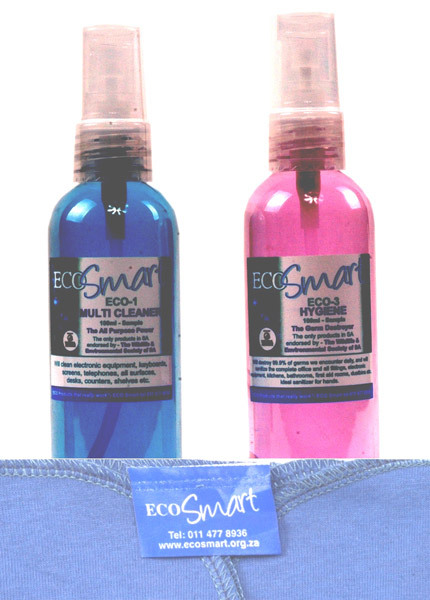 ECO - 1 MULTI CLEANER…..Will clean electronic equipment, keyboards, screens, telephones, all surfaces, desks, counters, shelves etc. 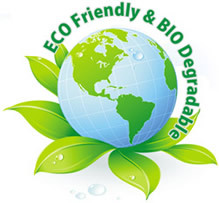 ECO - 2 WASH…..Is a Non Abrasive cleaner that will clean a complete office, namely all types of floors, walls, doors, bathroom and kitchen fittings, and for hand washing of dishes. 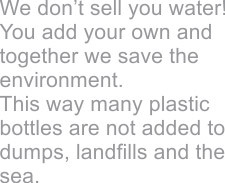 ECO - HYGIENE…Will destroy 99.9% of germs we encounter daily, and will sanitize the complete office and all fittings, electronic equipment, kitchens, bathrooms, first aid rooms, dustbins etc. Ideal sanitizer for hands. 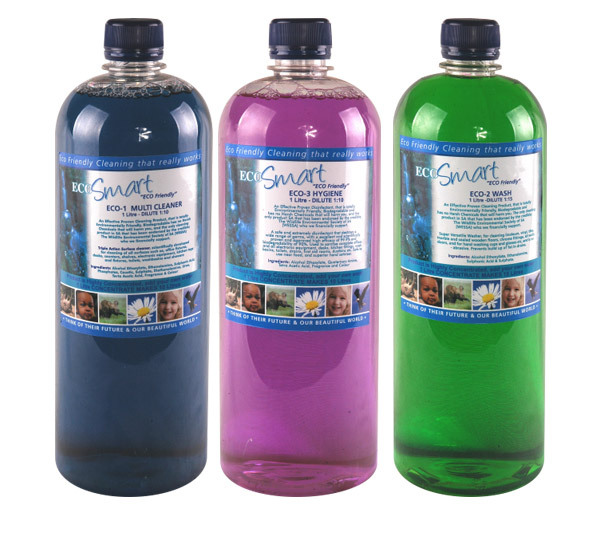 3 x 1 000 ml Concentrated Products, namely; Triple Action Multi Cleaner, Super Versatile Wash & Safe and Effective Hygiene and 3 x Dispensing Bottles. NO ; 9001:2008 REG.NO; LS1712. SA NATIONAL REGULATOR APPROVAL NUMBER; ACT 5GNR 529/235539/040/0293.